Looking for a new suitcase, with winter in full swing and the Christmas holidays running at you like Christiano Ronaldo at a big football? By a bizarre coincidence Ronaldo uses and endorses American Tourister suitcases, and they are among the many suitcases discounted in Amazon's festive sale. You may have noticed Amazon has cut the price of TVs, games consoles, and smart home equipment. There'll be many, many fine deals on offer, including in the area we call luggage – we love luggage so much, we have compiled our very own list of the best suitcases. Suitcases are one of those items you really want to be good quality, because they protect all of your belonging when travelling, but don't ever want to pay full price for, because you may only use them a couple of times a year. 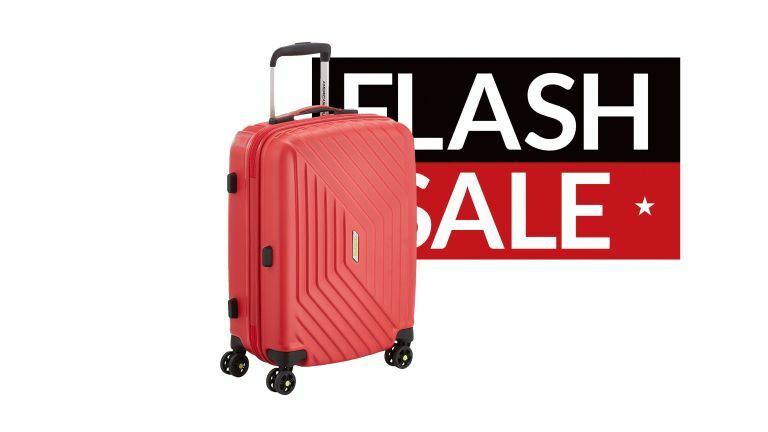 It's handy, then, that this sale has popped up right before the Christmas holidays, as it allows you to purchase a good quality suitcase for not-very-much money. Aeris combines a modern, aerodynamic design with an exclusive Samsonite patterned texture. This lightweight polypropylene case is available in an outstanding range of fresh and vibrant colours. It's available in three sizes and four colours, each combination with varying discounts.